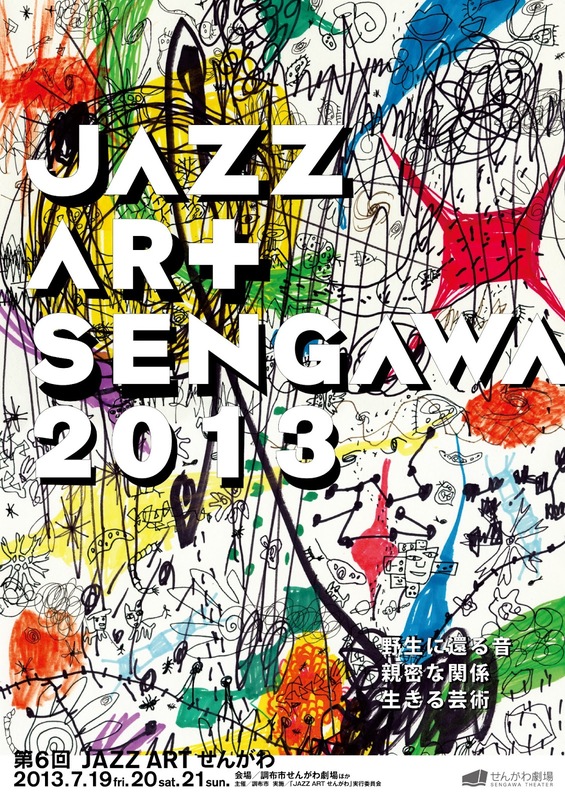 Jazz Art Sengawa is small but notable event for jazz, avant-pop, and improvisation in Tokyo. This year's festival will be held on July 19-21. The line-up is utterly impressive as always, and of course it includes Hikashu. What makes this event so special is that it is curated and organized by musicians themselves. And it is for music cognoscenti. Just take a look at the line-up and you could see that clearly. 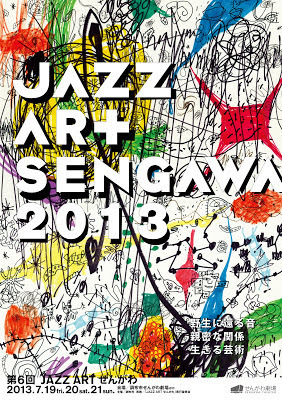 There are two venues used for this year's festival - Sengawa Theater, and Jenny's Kitchen. The line-up and ticket information are as follows. The Producers of the festival are Makigami Koichi, Fujiwara Kiyoto, and Sakamoto Hiromichi. All the tickets are available at Sengawa Theater box office. The 1-day ticket applies for all program (except "Voice Play for Children" on July 20, which required 500 yen for advance or 1,000 yen at door separately - Free admission for children under 5 years old. Session for Improvisation, and Sunday Matinee Concert are admission free). The prices here are for advance - plus 500 yen each at door. 1 stage ticket - 2,500 yen for each act, sold only on the day of the performance. Start selling at Sengawa Theater box office at 10:00 AM. 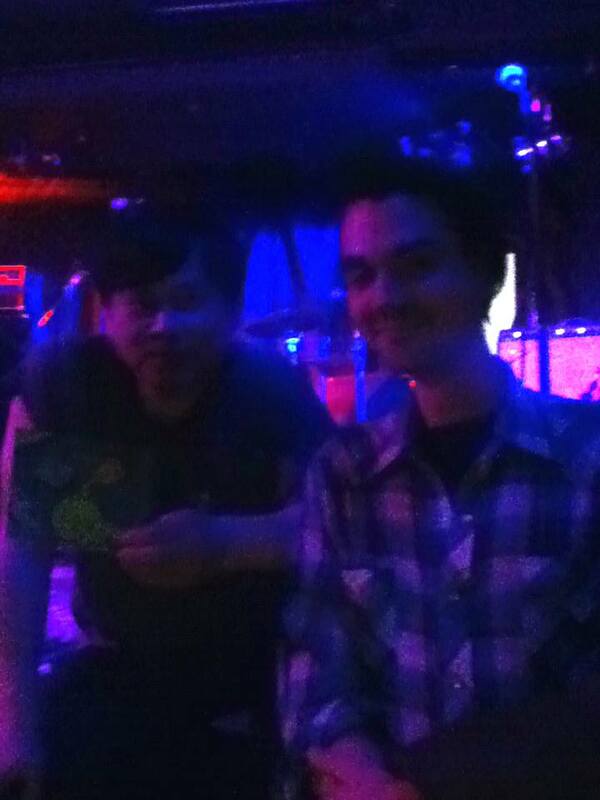 Hikashu at the Garrison, Toronto, Canada on May 14, 2013. Apparently, Hikashu had a great time in Canada. After returning to Japan, the members praised the experience in the country very much. The audiences were welcoming and reacted positively. The staff was caring. The acostics were great. Niagara Falls was spectaclar. In short, everything was beautiful. So naturally, all the four gigs turned out nicely. Then they moved to New York City, and held a recording session at Eastside Sound for next album. The session resulted quite fruitful - things went smooth and in the end they've got materials more than enough for an album. Of course, the experience in Canada contributed much for the result because the members had became quite uplifting after the tour. Technically, the new album is not finished yet. They said there's something must be done, but not so much - just some tweaks. So it looks like the completion is near and we don't have to wait so long. It's good because we're hardly able to wait for new things from the band. Currently, Makigami Koichi has been in Kyzyl, the capital city of The Republic of Tuva. He's now participating the 6th Internatinal Khoomei Symposium. It is held every four year, and he has attended to the event every time since the 2nd symposium. No, he's not a contestant - but one of the judges. He will be back late this month. And he will soon depart again for Europe next month for a short tour with the Living Room Trio. Meanwhile, the band is on hiatus simply because Makigami has been not available for a while. But they'll do some sporadically-occuring gigs this summer. We'll let you know about those dates in a little while. Hear what people had to say about the band's performance last month. Interview with the curator for the Toronto gig. 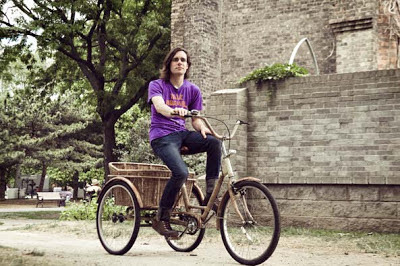 "We met up with Michalak--who also owns one of the coolest bikes in the city--to talk about Toronto's blossoming underground beneath the underground, and his hopes of bridging the gaps between Toronto's music scenes, and its music lovers." When I asked HIKASHU to give me a Japanese name they called me "kokoro" or "heart" cuz I'm wearing a t-shirt with a big red sequined heart! Almost showtime @ NAC's Fourth Stage for Nobuo Kubota & Hikashu to wow the audience! "@CarmenBound: The GREAT Nobuo Kubota takes the stage with incredible vocal improv! #VocalPoetryInMotion" @abseries will amaze you. 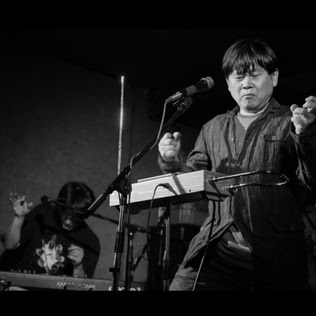 OMG Hikashu lead singers rocks the theremin while singing! #TotallyInsane Check out @abseries for more info! Seriously. Do it. "Max Middle is the pen name of Mark Robertson, an Ottawa-based poet and founder of The A B Series, a poetry reading series that features experimental, sound and performance poetry from Canada and around the world." @abseries @FMC1989 Hikashu's Canadian tour is really exciting and we are happy to be part of it! interview with Michel Levasseur, manager, artistic director and founder of the FIMAV.